When I was in 4th Grade we did a unit on countries. My teacher gave us a booklet with the most basic information about a country in Africa where they speak Swahili. We learned maybe five words in Swahili, saw where the country was on the map, and learned about food and the safari type land in the area. I obviously didn’t master the material because I don’t remember the country, words, or food. When it came time to pick our own countries I ended up doing Peru. Except God didn’t say now. The call sat like a stone in my stomache for years. I remained as sure of it as in that initial moment, and have never wavered from believing God would accomplish His Call. Along the way I have been annoyed at the timing, confused by the places I have ended up, but I still know that God called me to be a missionary in Africa. I am not in Africa. When people come to Lebanon we want to know their expectations, what they hope to get out of the trip, why they feel the need to come. My answer is that God called me. Beyond that I usually can’t think of a reason. I don’t have the attachment to a people group or socioeconomic status or refugees, I only have God’s call sitting firmly inside of me. Perhaps you are called to women, youth, artists, peers, large groups, small groups, unreached, ill, or battered people. Maybe you aren’t in a position to do what you have been called to do yet. Is there a way to equip yourself for that call where you are right now? In my years here in Lebanon I have learned so much about loss. How could I have gone to Africa, a continent torn apart by wars, racial divides, and illness without empathy? I did not come to Lebanon with empathy. But now, this past month, I finally celebrated victory in that area. As we have been doing trauma counseling, I am finally learning the precious gift of empathy. I needed these years of learning empathy and a vast number of other lessons. In addition, God has given me the gift of having the time to raise my children and to learn how to do that in a similar environment to America so that I would have a little less adjustment. I am blessed to be in Lebanon for this season. I am storing up lessons for the calling. If you want to hear more stories about how Louis and Annie became missionaries, ended up in Lebanon, and what we are doing to help the refugees and Lebanese, please sign up to meet with Annie while she is in the States. This is the perfect time to connect with our ministry and be a part of our story. How can you dig in where you are right now and get the most out of life? Come and bring anyone who might be interested in partnering with us to fund our mission work in Lebanon or find out more. Our team is desperate for us, and we are leaving this May in faith that God is going to provide the remaining funds. We need to be there. Right now those are just stories that are happening there, but that is just a taste of what is happening and our team needs us. We have a heart for discipleship to follow up with these people. We are being called, and we are changing our strategy from asking for money to just leaping out in faith. God will provide. Plenty of people know the need, and it is time to GO! For many of you who have been with us along the way you are sharing our mix of emotions: Excitement, apprehension, nerves of all sorts. We are finally going! Now is the time to pledge a monthly, quarterly, or annual amount. We are running low on time for one on one meetings, and if you want to meet or visit with us, please contact us! Many of you are giving to other short term missionaries, and we are thrilled because we have not been able to pour into those people (e.g. Charlie Wheeler). Please continue the commitments you have made. If you are considering giving to us after these short-term commitments end, let us know so we can keep track of the pledges. I woke up this morning longing for friends who are all overseas doing mission work. I prayed for them, thanked the Lord for their work, and then cried a bit from missing them. As I began looking at Bible verses about community, I cried again realizing that soon I would be the one closer to those friends, and farther from most of you. What an adventure this crazy life is, always moving when God moves, following His word. It isn’t all roses, but the suffering is small compared to the joyous glory that is to come. Obedience to God has been the theme of our lives lately. Of course, we always want to have obedience to God, but of late it has been a constant. Serving on this upcoming TIROSH youth retreat (http://www.soazviadecristo.org/) was a large step of obedience for Louis and I and has a large impact on David Ezekiel as well. For myself it is a real struggle to commit to something that will take me away from my baby for even a few short days. 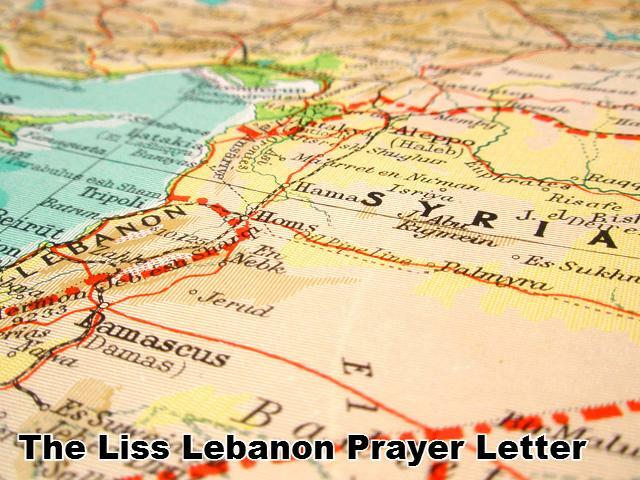 For Louis it meant giving up his dream of leaving for Lebanon in February and as he continues to listen to God, the “background work” he was planning on doing for the retreat has become a myriad of talks, leadership tasks, and spiritual directing. The more time I am spending in Scripture and prayer, the easier it is to follow God’s To Do list throughout each day. I can go to sleep knowing that I did what He asked of me, and I am experiencing that peace that flows deep inside of me. In obedience we are continuing to prepare for Lebanon. As with Gideon, I find myself needing to rely on God to supply. We are still in need of most of our monthly funding, and we are running low on people willing to meet with us and give. We continue to pray for God to place people in our path whom he is calling to share with us in this ministry. We are continuing to call everyone we know to meet and share our mission. In confidence that God will provide, as he did with our startup fund, we have registered for a training in April that will prepare us to go overseas. Please join with us in prayer: Lord, please clarify Your will each and every day as we prepare to act on Your commands. Fill us with Your love, patience, peace, and joy that we may bring glory to You in all we do, say, and think. Continue to bring the commitment of our partners to supply our monthly amount so that we can fulfill Your plans for us in going to Lebanon.